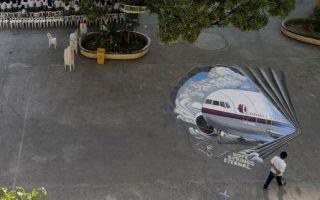 The MAS Administration Bill: Malaysia Airlines to Soar Again? Lee Shih’s general overview of the recently-tabled Bill. Invaluable tips from Lee Shih. Lee Shih continues his analysis on the upcoming changes to the insolvency regime. Lee Shih comments on the revamp of the Companies Act 1965. Lee Shih shares his dragon-boat laced call speech. Soon, foreign law firms and foreign lawyers can practice foreign law in Peninsular Malaysia. Required reading for pupillage or junior associate applicants! Lawyer Lee Shih works through the ins and outs of a Chapter 11 bankruptcy. The first-ever post in the LoyarBermakan food review series visits the home of the famous, scandalously-good, P7 pork burger. LoyarBorak #2 focuses on the role of the Bar Council, in view of the on-going Bar Council elections. Postal ballots must be returned by 30 November 2010, and the results are expected on 1 December 2010. This LoyarBorak is moderated by Marcus van Geyzel (who also throws his views into the ring), and the borakkers are Adriana Leu, Foong Cheng Leong, Grace Wong, Lee Shih and Siti Shahrom, who all approach the discussion from their different experiences and positions in the legal profession. Please borak along in the comments section below.